A man of ascetic and unostentatious personal habits, and instantly recognisable in his Mao tunic, Julius Nyerere was born at Butiama, on the eastern shore of Lake Victoria, into the small Zanaki tribe. He was 12 before he first went to school, but was immediately singled out for his sparkling intelligence by the Roman Catholic priests. After Makerere University, in Kampala, he taught for three years. In 1949 he became the first Tanzanian to study at a British university, when he went to Edinburgh on a government scholarship. And it was there, under the influence of post-war Fabian socialists, that he developed his own political ideas of grafting socialism on to African communal existence. On his return to Tanganyika, Nyerere was forced by the colonial authorities to make a choice between his political activities and his teaching. He was reported as saying that he was a schoolmaster by choice and a politician by accident. Working to bring a number of different nationalist factions into one grouping he achieved this in 1954 with the formation of TANU (the Tanganyika African National Union). He became President of the Union (a post he held until 1977), entered the Legislative Council in 1958 and became chief minister in 1960. A year later Tanganyika was granted internal self-government and Nyerere became premier. Full independence came in December 1961 and he was elected President in 1962. Nyerere’s integrity, ability as a political orator and organizer, and readiness to work with different groupings was a significant factor in independence being achieved without bloodshed. In this he was helped by the co-operative attitude of the last British governor — Sir Richard Turnbull. In 1964, following a coup in Zanzibar (and an attempted coup in Tanganyika itself) Nyerere negotiated with the new leaders in Zanzibar and agreed to absorb them into the union government. The result was the creation of the Republic of Tanzania. However, the campaign proved expensive, and while their leader devoted such resources, time and energy to foreign affairs, his critics in Tanzania argued that he overlooked domestic problems, and failed to apply the same observance of human right abuses. He seldom flinched from using a Preventive Detention Act that allowed him to lock up his opponents virtually at will. Relations with Zanzibar, which had united with Tanganyika in 1964 to form the United Republic of Tanzania with Nyerere as president, were always strained. Tanzania became ever more dependent upon foreign aid, and decision-making was paralysed by a ponderous bureaucracy. Nyerere was to admit that mistakes had been made, while his devotees pointed to developments – such as the spread of literacy and primary healthcare. As a pan-Africanist, he could not be faulted for putting his country in the forefront of the frontline states against white minority rule in Africa. He took a principled stand at a great cost to his country, but his people never really minded. Tanzania became a home for exiled freedom-fighters who are now the rulers in a number of southern African states. Many a time, Nyerere confounded those of us who thought of ourselves as being to his left by appropriating our political lexicon and social agenda. He never quite became a Marxist, but the former shepherd boy, whom we used to deride as “a good boy of the west” and who was viewed with suspicion by the likes of Kwame Nkrumah, turned into a tactical ally when he started talking about class struggle and a classless society. But his African socialist philosophy of Ujamaa only brought misery and economic degradation. Under the man who preached self-reliance, Tanzania depended on foreign aid more than any other African country. That was only one of his contradictions. Nyerere commands respect for being one of the first post-colonial African leaders to hand over power voluntarily. He retired in 1985 after 23 years as president, admitting that development policies he so vigorously advocated had failed. His detractors would regard his stewardship of Tanzania to have been flawed by his single-minded adherence to a manifestly unworkable policy. Yet Nyerere is more likely to be remembered for having provided a moral leadership to Tanzania, and indeed Africa, when the continent was taking its first shaky steps after independence. SALUTE￼ @Djibril.. Thanks for visiting our site. Stay tuned for more content on Afro-Global movements. Feel free to contact us if you would like share or collab on content as well.. This is an interesting and informative account of the career of former Tanzanian President Julius Nyerere and his steering of Tanganyika towards independence in 1961. The post touches on the many economic challenges he faced, and the solution he presented in the form of a ‘unique blend of socialism and communal life” – the collectivisation of agriculture, vilification (Ujamaa – which I recommend you Google) and large-scale nationalisation. The vision set out in the Arusha Declaraion of 1967 sounds just beautiful to me, despite the flaws in its execution (more about this in the post below). 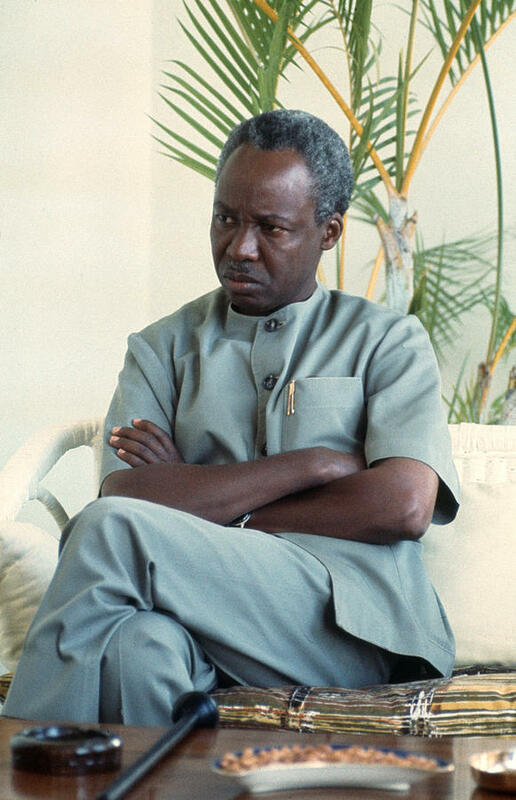 Nyerere was pan-Africanist, a socialist, and one of the first post-colonial African leaders to voluntarily concede power – he is widely respected for providing moral leadership to Tanzania, and Africa, in the aftermath of independence. He also led Tanzania to rely heavily on foreign aid and faced criticism on his domestic policies and human rights record. He was a controversial figure and worth reading more about! Nyerere was one of Africa’s greatest head of states, besides Nrkrumah, Jomo Kenyatta etc. He did a lot for Tanzania.